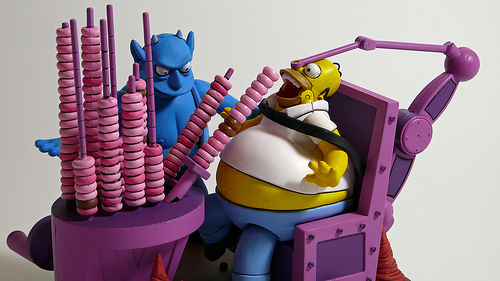 Homer Simpson is the Platonic ideal of American obesity. He drinks like a sailor, eats enough donuts to give Satan himself pause, and once ingested a handful of Play-Doh to nudge himself onto disability benefit. But, astonishingly, some of his dietary habits are sound – even if they’re outweighed by all the other terrible ones. Here’s how you can eat more like a man who once failed to fit into a voting booth – and get healthier. 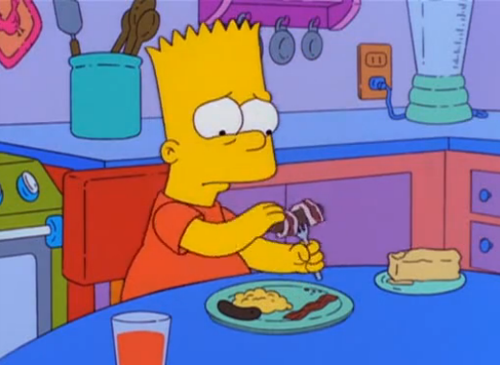 ‘Bacon up that sausage, boy.’ It’s the sort of parental command that would have childhood-obesity campaigners up in arms, especially after (as in the episode) Bart’s already buttered up his bacon. Won’t somebody think of the trans-fats? 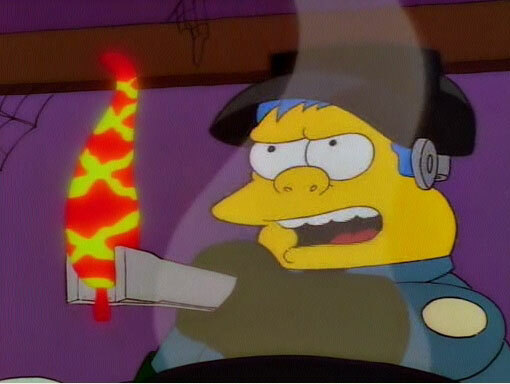 Even if they existed, it would probably not be a good idea to eat the the Merciless Peppers of Quetzalacatenango – grown, according to Chief Wiggum, ‘Deep in the jungle primeval by the inmates of a Guatemalan insane asylum.’ But generally, Marge’s attempts to steer Homer away from the annual Chili Cook-Off are as misguided as they are doomed: since it’s actually possible that the big man’s love of all things spicy is one of the only things keeping him alive. Sad fact: when many people decide to eat more healthily, they seem to do it based on some half-remembered version of what bodybuilders ate in the 1980s – endless dry chicken breasts and broccoli, unseasoned and scooped grudgingly from tupperware tubs. This is ridiculous for many reasons, but here’s the key one: herbs and spices not only make things delicious, they make you healthier. Cumin, for instance, aids memory and metabolism and lowers stress, cinnamon lowers blood sugar, turmeric improves liver function and heart health and protects against everything from Alzheimer’s to leukemia, and capsaicin, which is what makes peppers spicy, improves mood, reduces pain, reduces inflammation, burns fat, and has cancer-fighting properties. Obviously the fresher the better, but the message is simple: use spices when you cook. Not only do they make your food taste like actual, you know, food, but they’ll make you healthier in almost every way. They won’t let you hallucinate a coyote version of Johnny Cash, but it’s tough to say whether that’d be beneficial anyway. 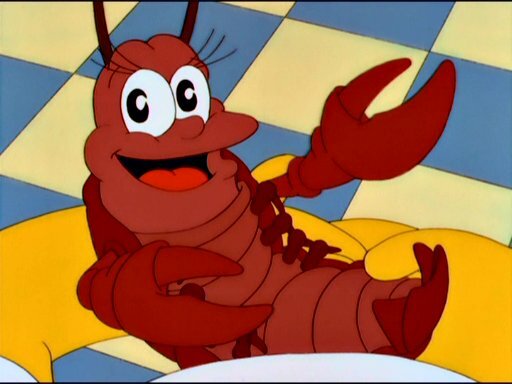 Should you eat more lobster? Debatable. The real lesson here, though, is that hand-reared, carefully-raised produce doesn’t just taste better – it’s also better for you. To quote Paleo Solution author Robb Wolf: ‘One of the greatest deviations away from our ancestral diet is the amounts and types of fat found in modern grain feed animals vs. the amounts and types of fats found in grass fed or wild meat, fowl and fish. What we observe is wild meat is remarkably lean, and has relatively low amounts of saturated fats, while supplying significant amounts of beneficial omega-3 fats such as EPA and DHA.’ To caveat this a bit, eating a free-range, grass-fed cow isn’t exaclty ‘wild’ meat, but it’s certainly better for you than eating the factory-farmed, stress-hormone-filled, horror-filled alternative. The take-home message? If you could nurture all your food in a loving environment – and then kill it and it eat – you’d probably be much healthier than you are. Since that probably isn’t an option, stick to free-range and grass-fed. Switch margarine for butter – and don’t be afraid to eat good sources of fat. Eat high-quality meat and cut down on refined carbs. Cook with spices as much as you can. Oh, and don’t eat any of the following: three-week old sandwiches, compressed spaghetti bars, all the doughnuts in the world or a tiny bicycle. There are limits, after all. lol well written. 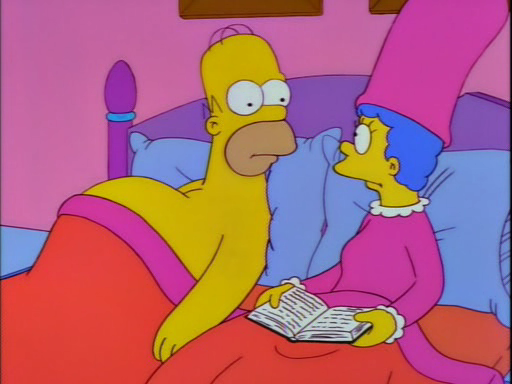 The trouble with Homer is his Leptin regulation is non-existent. He’s always hungry.